Skip the history lesson, just go down to why we think you should join iDRIVE.co.za, why we think we’re the best place to grow your driving school. How your current advertising works. The name of the game is eyeballs. All current means of advertising and marketing boast high visibility as a reward for your investment…. and we all know what that’s about. It’s about eyeballs, and eyeballs means more money – more money spent by you. See, national newspapers have a wide distribution and hundreds of thousands – even millions – of eyeballs at their command and so they charge you heavily for this advertising. A community newspaper on the other hand, charges less because their reach isn’t so vast but then again, they also don’t get as many ‘eyeballs’ as a national paper. Now the same principle applies with various other sources of advertising. Magazines, radio, the yellow pages, business directories (online, mobile or other), even advertising on your car – the eyeballs will cost you. What these mediums have in common is that they will charge you for the amount of eyeballs they get. Whether the reader has actually seen or read your advertisement is another issue entirely. These methods of reaching new customers are ineffective and expensive for smaller businesses. Why? When using these traditional forms of media, only a fraction of the people you’re reaching will actually be interested in your service, so you’re paying a lot more to advertise to people who don’t need and aren’t really interested in your offering. And to add insult to injury, the fraction of people who may be interested in the service will probably not be actively looking for it at the time. This means that your communication or message is at risk of being filtered out along with all the other influx of advertisements and marketing messages of the day. Those in high school looking to get an early start on their Learner and Driver’s licenses. Those in tertiary education institutions looking to increase their freedom and job opportunities through the attainment of their Driver’s license. Those moving on to a new workplace or those who need a Driver’s license as part of the job requirement or as an added advantage. When you look at this major market and where they spend most of their time, you have to ask yourself what sort of media they are exposed to, what kind of tools they have at their disposal. In each of these instances, your core market will have access to the internet. The internet is their primary source of information, their first port of call for anything they need and they can access it via a computer and most mobile phones. Again, why is iDRIVE.co.za the best place to ‘park’ your driving school? We drive relevant and qualified leads to your driving school business. We currently have 400 people visiting the iDRIVE.co.za website daily but they are all actively looking for a driving instructor/school. The difference with iDRIVE.co.za, is that the customers are coming to you. We make no other proposition to get people to visit the iDRIVE.co.za other than to find good quality driving schools – that’s you. We prefer quality over quantity. We may not be the biggest business directory but we are proud that we don’t endorse just any business. We promote verified and trusted Driving Instructors who offer quality services. We are the most focused and effective driving school business platform. Think of us as digital match-makers. 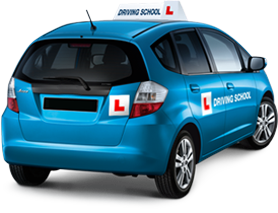 We aim to match learner drivers (who come specifically to iDRIVE.co.za looking for a driving school) with the best possible instructors to meet their needs. We do this by filtering their location, language and instruction requirements. Our statistics show that we have generated over 1400 leads to our 60 listed diving schools in the last 30 days. If you’re a driving school or instructor, this is the most cost-effective and efficient way to promote your growing business. Ready to go? Click here to get your driving school onto iDRIVE.co.za today.